Please call the shop to inquire about all kayak rentals! 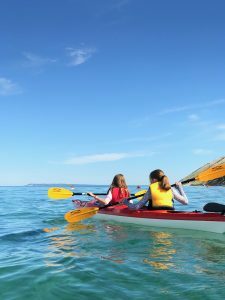 Explore a pristine inland lake or venture out on Lake Michigan to explore beautiful stretches of the Sleeping Bear Dunes National Lakeshore. 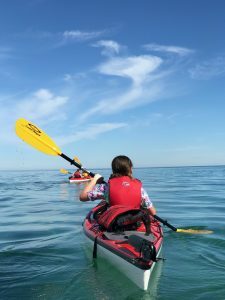 There is no better way to view the lakeshore and capture the beauty of the Sleeping Bear Dunes and the Empire Bluffs than from the water. 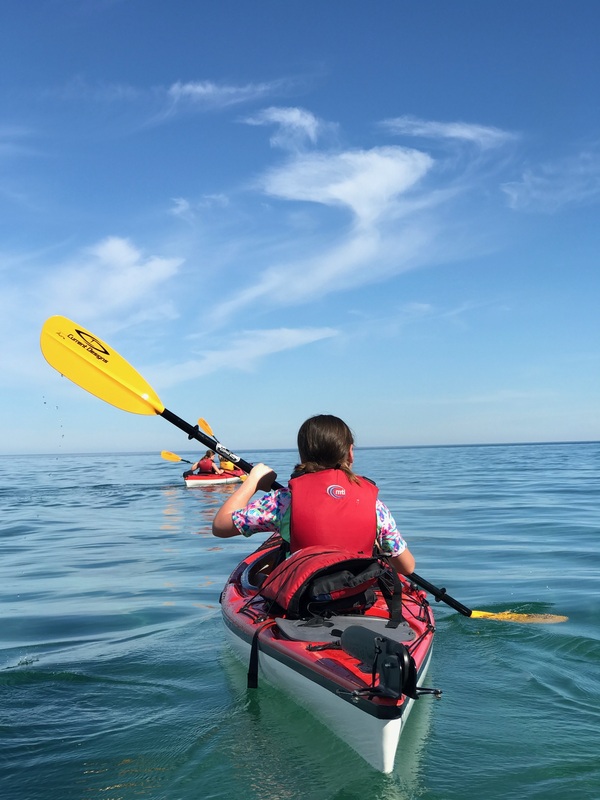 Our 14 foot single sea kayaks are meant for the open water and are exactly what you need to stay afloat. They are extremely stable, sit-in kayaks with foot pegs and a rudder on the tail of the craft to make maneuvering the boat extremely luxurious. Reservations are required as limited kayaks are available.